It might have been more useful for me to split the film reviews into US and UK postings, but no. It’s a mess, this posting of reviews, with articles from everywhere, but it is a very positive mess, with most critics singing loud (louder?) praises for the film, its director and writers, and the actors, of course. You should see Louder Than Bombs. You may not share my hesitation with Huppert – it’s always easy to be carried away by her. You may decide that the film is a touch too quiet and convoluted for its own good. You are going to be on your own. 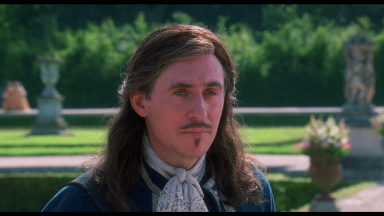 But I have seen this film a few times and I can’t get its family cluster out of my head – which probably means that it has revealed something I half knew already. Trier has been stronger or clearer before (Reprise and Oslo, August 31st), and he will be better yet, I think. He is a major director, a novelist on film. And consider this: a Norwegian went to America, and understood its disquiet better than most American directors. “Is it difficult for you to talk to me?” a father asks a son. What did we expect? This tangle of deception is played out in lengthy silences, unwanted offers of tacos and breakfast, and looping monologues. Trier’s screenplay, co-authored by Blind director Eskil Vogt, might have been overly literary were it not for the director’s layers of image and montage. The performances are, necessarily, deep and deeply affecting: Eisenberg weasels without being too alienating; newcomer Druid carefully layers his character; Ryan makes a much larger impact than the size of her role ought to allow for. Even in scenes set before her fatal car crash, the dead- eyed Huppert haunts the picture. 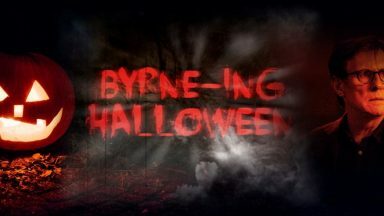 And Byrne never fails to move as a family man who simply can’t win. 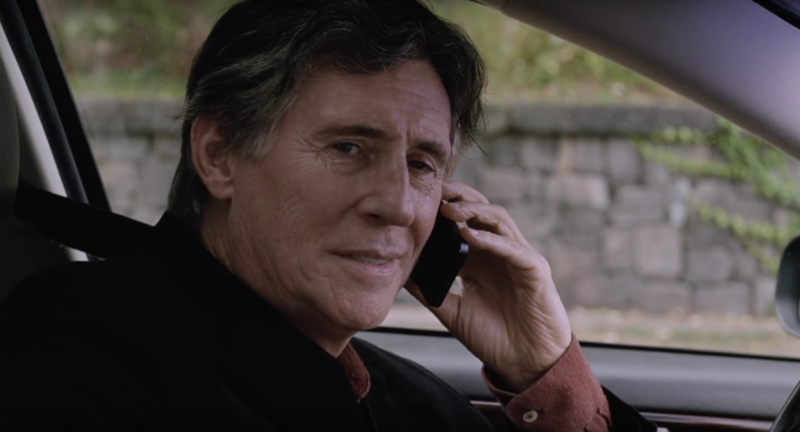 Re-teaming with his co-writer Eskil Vogt and cinematographer Jakob Ihre (Reprise, Oslo August 31st), Trier finds new cinematic forms to delve into the inner lives of three characters in the Reed family: the sensitive patriarch Gene (Gabriel Byrne) and his two sons — new father Jonah (Jesse Eisenberg) and socially awkward teenager Conrad (Devin Druid) — who are dealing (or not) with the death of family matriarch Isabelle (Isabelle Huppert). The film switches perspectives between the three men, like a fictional version of Sarah Polley’s Stories We Tell, as we try to understand what they’re going through. And like every Trier film to date, it left me completely emotionally destroyed, only increasing in potency with each repeat viewing. The type of repressed emotional wrestling explores the family dynamic from a male perspective, such as Gene joining Conrad’s online role-playing game in the hope of connecting, only to be killed every time he finds him. It’s a delicate and appreciated moment of comedy and also speaks loudly concerning the generation gap and how young people communicate (or fail to do so) today. With Gene’s past as an actor, brilliantly detailed in some clips of Byrne’s older work, and Isabelle’s photographs, it’s a family that has lived lives through other ways, making it all the more pleasurable seeing them reunited. As suspected, more reviews are rolling in! 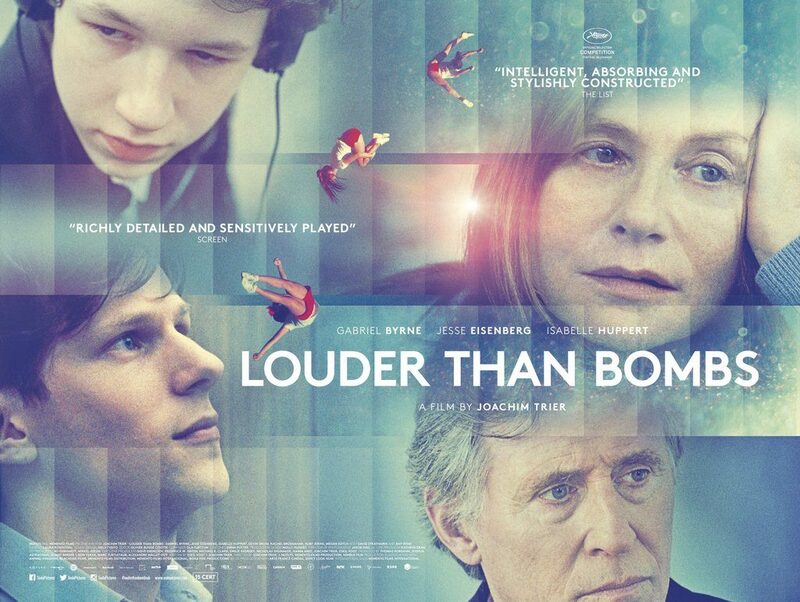 Louder Than Bombs is opening in the UK on April 22, so of course there will be more reviews. And interviews. And videos. A few key US reviews were missed, too. 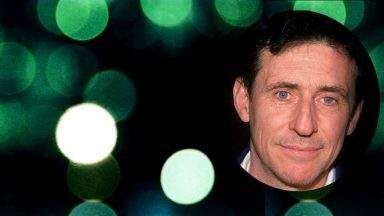 We’ve not seen such a delicious onslaught of digital information for a Gabriel Byrne Project since the days of In Treatment! Yes, I’m excited. wink And I hope you are, too! …Trier, a masterful filmmaker who has already delivered must-sees in “Oslo, August 31” and “Reprise,” navigates an incredibly tricky minefield of mourning, regret and the detailed minutiae that makes up our lives. It is a statement on life and death that opens with a newborn baby’s hand but is primarily about how we process loss. Sometimes its meandering approach can feel a bit more detached than in Trier’s best work, but this is ultimately a delicate, complex film that lingers, unpacking itself in your mind. You remember it in the same kind of fragmented images that haunt its characters. 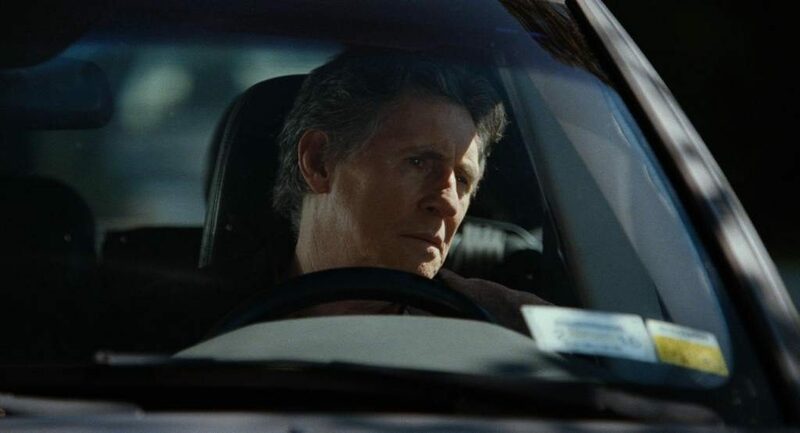 The narrative drive in Louder Than Bombs comes from a proposal by Isabelle’s colleague Richard (David Strathairn) to write a column about her for the New York Times ahead of a retrospective exhibition of her work. This forces Gene and Jonah into a quandary about whether or not to come clean to Conrad about her death. The film flits between the equal possibilities that Isabelle’s death was an accident or a suicide. It’s a question that derails what fragile momentum these men have maintained in the three years since, but all three actors sell the pain quite admirably. Eisenberg gives his most compellingly confident turn yet, maintaining a high-wire act between likeable and all-out jerk without nervous tics or bumbling limbs. 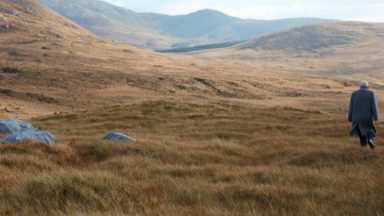 Relative newcomer Druid boasts an impressive degree of necessary restraint to sell Conrad’s hidden turmoil, and Byrne’s burdened melancholia is a pleasant reminder of his top-notch work on In Treatment. Huppert helps Trier maintain a distance between Isabelle and everyone else with a turn of inscrutability and silent despair. She’s unknowable, almost to the point that she seems clichéd. Yet this is exactly Trier’s point; the image we get of Isabelle is always through a lens of grief and memory. We only ever see her husband and sons’ recollection; they knew so much about her, and yet it’s never the whole story. A shot of Huppert in close-up looking at the camera is given a violet tint, suggesting she’s behind a pane of glass. Her character’s choice of profession is not random; Louder Than Bombs is all about the images we capture of those closest to us, whether in photographs, memories or on film. We can see every freckle on Isabelle’s face, but she’s only a ghost. Our memories introduce a nebulous filter to obscure the full picture. That’s the story but Joachim Trier plays about with its presentation, jumping from character to character, trading voiceovers, scenes replayed from different perspectives, and moving from flashback to present time and back again. 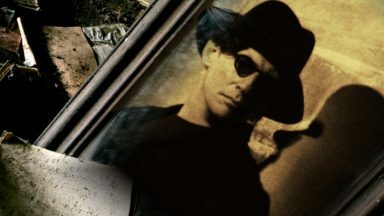 Calling them flashbacks is a stretch though as they are gently woven into the narrative to ensure Trier’s underlying theme: the past is present and what has happened will be a part of you forever. Attention is rewarded with Trier initially instilling mystery as to why characters act a certain way, and later the reasons behind their behaviour are revealed without fanfare. Louder Than Bombs really boasts a rich tapestry of conflicted characterisation. 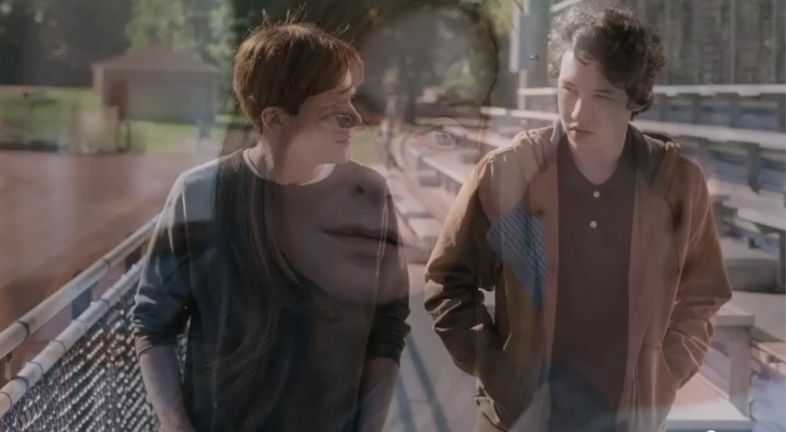 But “Louder Than Bombs” and Trier explore the Reed family’s grief as if the film shuffles a stack of Isabelle’s photographs. We see fragmented scenes, snippets that are revisited from different points of view, and dream sequences that are left unexplained, with novelistic narrators explaining inner monologues. We move backward and forward in time, flashing constantly back to when Isabelle was alive, and yet she constantly remains as mysterious to us, her motivations and inner thoughts completely unknown, as she does to her family. This makes Trier’s film an odd mix, a nearly stream-of-consciousness way of telling a story that eventually unites into a narrative, though a narrative with some brilliant highs and occasionally overwrought lows (Trier moves into the same territory as his polarizing filmmaker relative, Lars Von Trier, for some slow-motion shots that feel too stylized for this film). 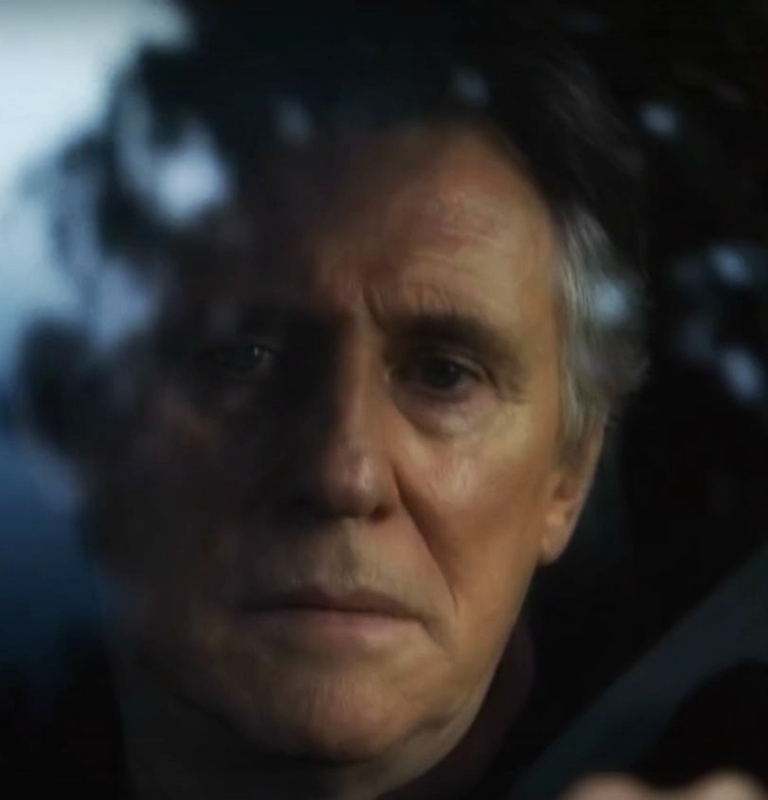 Its cast, including a marvelous turn from Gabriel Byrne and a compelling performance from the newcomer Druid, keep “Louder Than Bombs” completely engrossing even as on a scene-by-scene basis you may find yourself enrapt and confounded, depending. 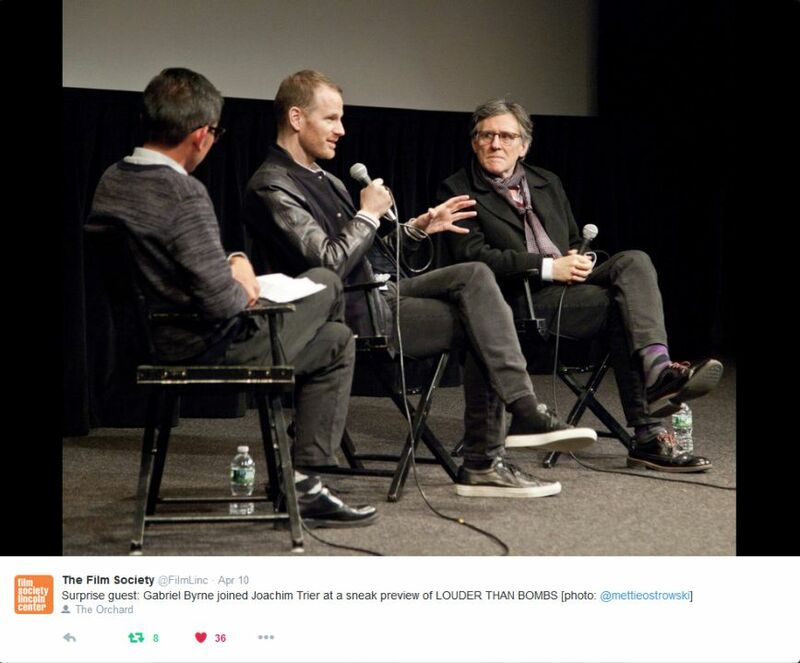 Happy to report that the US reviews for Louder Than Bombs have been thought-provoking and insightful, generally open to director Joachim Trier’s story and his film techniques, and very appreciative of the actors and their portrayals. Some critics seem to “get it” more than others, but overall, most thumbs are up! 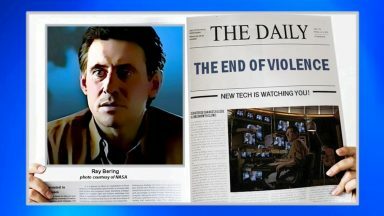 Here is a run-down of the remaining reviews for the film. 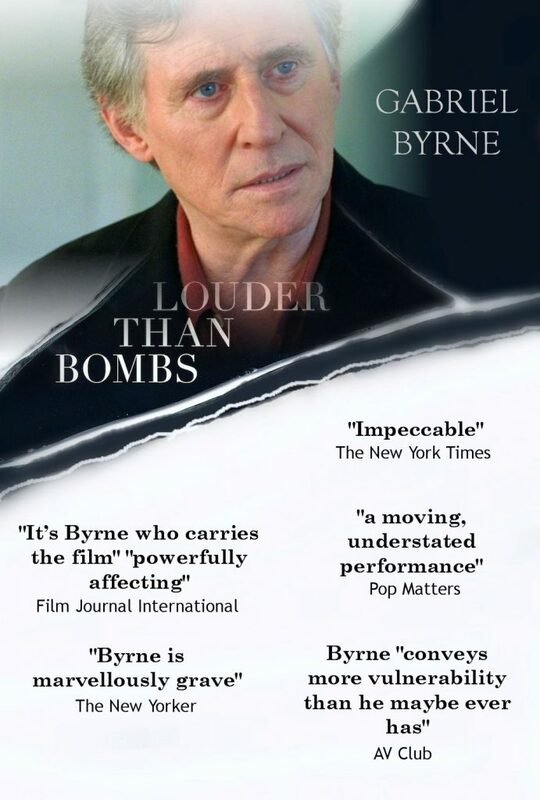 There may be more in the future and there will probably be some in-depth analysis from a few cinephiles, so don’t be surprised if you continue to see Louder Than Bombs feature heavily on the front page of Byrneholics. 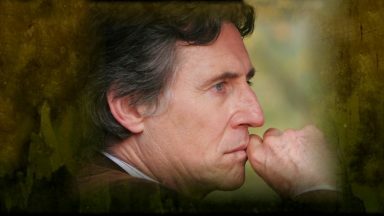 This is one of Gabriel Byrne’s finest achievements and his work deserves the spotlight! Most American directors wouldn’t dare make a movie about an upper-middle-class Scandinavian family and its problems. 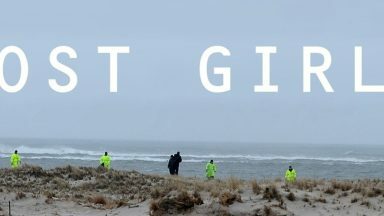 So you might ask why a filmmaker like Joachim Trier, who is Norwegian, would even try to scale an English-language drama (his first) about a well-heeled family living just outside of New York City, a group that’s been cracked apart by the lingering, seemingly insoluble effects of grief. But Louder Than Bombs, Trier’s third picture, is so emotionally forthright, and so delicately balanced, that you might just forget to ask why. It’s also rare for another reason: These days there aren’t many American filmmakers who bother to make—or are even able to make—family dramas for the big screen. “I want to kidnap the drama back from HBO and put it on the big screen,” Trier said in an interview last May. In a mainstream American movie landscape glutted with superheroes, those are practically fighting words. Some of the story lines aren’t filled in, especially Jonah’s alienation from his wife (Megan Ketch) and child. And there isn’t enough — there’s rarely enough these days — of Amy Ryan, who plays Conrad’s English teacher and Gene’s lover. But Trier makes you feel intimate with these people. Eisenberg turns Jonah’s prickly avoidance — which could be so hateful — into a source of poignancy: Jonah has strong opinions, none of which cohere. Druid’s mixture of sullen and yearning helps you see beyond his scowls. (The actor is best known as the younger incarnation of the title character’s son in Olive Kittredge.) Byrne’s ineffectual attempts to reach out make him seem a ghost in his own life — almost as ghostly as Huppert’s Isabelle. As I wait with excitement to see Byrne’s James Tyrone Sr. in Long Day’s Journey Into Night (along with Jessica Lange, Michael Shannon, and John Gallagher Jr., who played the older incarnation of Olive Kittredge’s son), I can’t help thinking vis-à-vis Louder Than Bombs of Eugene O’Neill’s famous line from the play, “Stammering is the native eloquence of us fog people.” Trier isn’t the poet that O’Neill is, but as a filmmaker, he takes you inside the fog and brings those stammers to life. Huppert makes the photographer an enigmatic presence in flashbacks, worthy of the vastly different grieving being done by the men who can’t let her go. Byrne is delicately understated as a man who has begun to move on, Eisenberg weaselly and scheming as one who can’t let go, and Druid is a revelation as a distant, angry teen who would be struggling to find his place in the world even if his mother were there to help. There is no catharsis in their story, no smashing of objects, no demolition. What’s louder than bombs in Louder Than Bombs is the quiet, believable roar of anguish emanating from a family in crisis. Trier’s last film, the jittery and downbeat addict drama Oslo, August 31st, was also engaged in characters with these kind of passively self-destructive and dark trajectories. But the intersections are more sharply hinged in this film, and acted out with a uniform excellence. 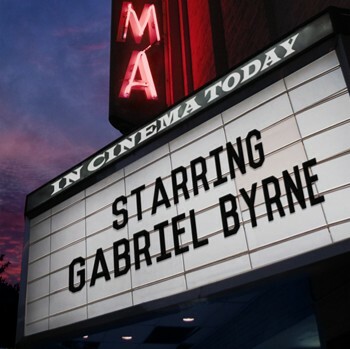 Although every actor here plays to their strengths, from Huppert’s Biblical prophetess to Ryan’s fulsome decency to Eisenberg’s stiletto selfishness, it’s Byrne who carries the film. More often than not relegated to roles that play off his romantically dour visage, Byrne finally gets paired with a director who effectively channels his more openhearted and benevolent side. Emotionally stunted as Byrne’s Gene is, that’s no more the case than with any of the rest of these teachers and students and artists. His clumsy attempts to bring his estranged sons closer, at the same time that he’s unwinding himself from Isabelle’s dark embrace, are powerfully affecting. “Louder Than Bombs” is a smaller film than “Demolition,” and twice as woebegone, though the shrewdness of the editing, snipping off scenes in their prime, fends off any hint of a slump. Some details I didn’t quite believe: Jonah, a new father, not only fails to mention the fact to an old flame but hardly spares the baby—or his wife, Amy (Megan Ketch)—a passing thought, so coiled is he in his own stress. 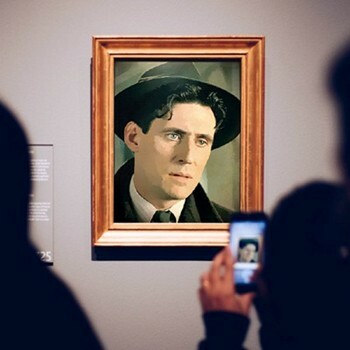 But Byrne, who has lacked good movie roles of late, is marvellously grave, and parents everywhere will smile at Gene’s proclivity—dumb but forgivable—for spying on his son, in public, as if checking up on his happiness. “I’m kind of busy right now,” Conrad says, when he takes a phone call. But he isn’t. He is sitting alone on a bench and, one imagines, musing on the mother that he lost. “Louder Than Bombs,” the first English-language film by the Norwegian director Joachim Trier (“Reprise,” “Oslo, August 31st” ), is disarmingly quiet, not unlike the Smiths album that shares its title. Buried or deflected emotion — conveyed through mordant remarks, pregnant glances, long stretches of silence — can generate more impact than explosive drama. This counts as both an insight and a strategy: Mr. Trier’s direction is as restrained and tense as the behavior of his characters, who suffer without making too much noise about it until they seem ready to explode. But beneath the well-worn dysfunctional-family setup are bracing observations of the human coping mechanism. Startling expressions of longing and denial go off like detonations within the quietest of exchanges. 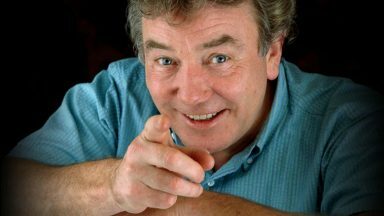 He deserves a recognition of his work in general and for this film in particular and happy as well for some words in special ” It’s Byrne who carries the film” or”Byrne is marvellously grave” and ” powerfully affecting”. I didn’t expect other critics than of this kind. He is a great actor, charismatic, polifacetic, profound and funny according the circumstances. It is lovely to see the critics responding so positively to his work in this film, Verónica!